Traditionally Made Chicken In Tomato Sauce Cacciatore. Front View. Fotos, Retratos, Imágenes Y Fotografía De Archivo Libres De Derecho. Image 118519525. 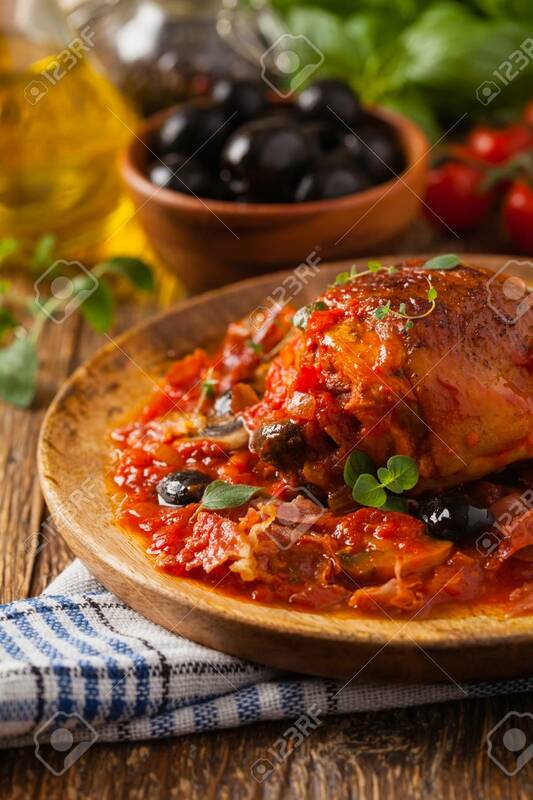 Foto de archivo - Traditionally made chicken in tomato sauce cacciatore. Front view. Traditionally made chicken in tomato sauce cacciatore. Front view.